Join executive performance coach Teri Citterman as she sits down with three CEOs to discuss building company culture in a fast-growth environment. Rahul is the CEO and co-founder of Unikrn, a global e-sports, gaming and entertainment platform built on cutting-edge blockchain technologies. Prior to Unikrn, Rahul launched Microsoft Ventures and was involved in a number of other startups, including Vrvana, which recently sold to Apple Computers. A serial entrepreneur, Rahul spent 18 years in multiple startups prior to joining Microsoft. Shauna has opened 10 offices and hired, trained and managed over 100 recruiters, all while building lasting relationships with candidates and clients. 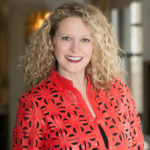 She has successfully placed roles from executive assistants through the C-Suite by learning how to match hard skills and soft skill nuances with organizational fit. She started Fuel Talent in 2013. Shauna grew up in the Seattle area, played Division I tennis at the University of Washington, and spent two decades between San Francisco and New York prior to her return to Seattle. Bill is co-founder and CEO of Bittrex. He was previously a security engineering manager at Amazon, and he also served as a security manager at BlackBerry, where he drove the anti-malware and security automation strategy for the BlackBerry ecosystem to help protect customers from emerging and known threats. Prior to BlackBerry, he spent 11 years at Microsoft. Teri Citterman has been interviewing and advising CEOs from around the country for nearly two decades. In her book, “From the CEO’s Perspective,” Teri provides insights from leaders across industries and offers a peek at the sorts of discussions she will lead during a new CEO forum at the Washington Athletic Club. In our upcoming CEO forum, Teri will host three of Seattle’s influential CEOs to share their perspective on what it takes to build a sustainable and healthy culture. Join us in the Johnson Lobby Lounge as CEOs Bill Shihara of Bittrex, Rahul Sood of Unikrn, and Shauna Swerland of Fuel Talent sit down with Teri to discuss leadership, recruiting, and talent retention—and how company culture improves all three. Teri Citterman is the founder of Talonn, an executive performance coaching firm focused on helping good thinkers become great leaders. 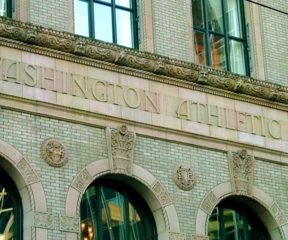 This event is the first in a series of CEO forums put on by the Washington Athletic Club and Talonn. WAC members: Reserve and bill directly to you member account here. To bill to a credit card, click here. Non-members: Reserve and bill to a credit card here. Refunds will not be issued for cancellations. If you are unable to attend the event, the WAC can facilitate a name change on registration to allow for the transfer of tickets within 48 hours of the event. For more information, email: clubprograms@wac.net. Read the WAC Magazine Q&A with Teri here.